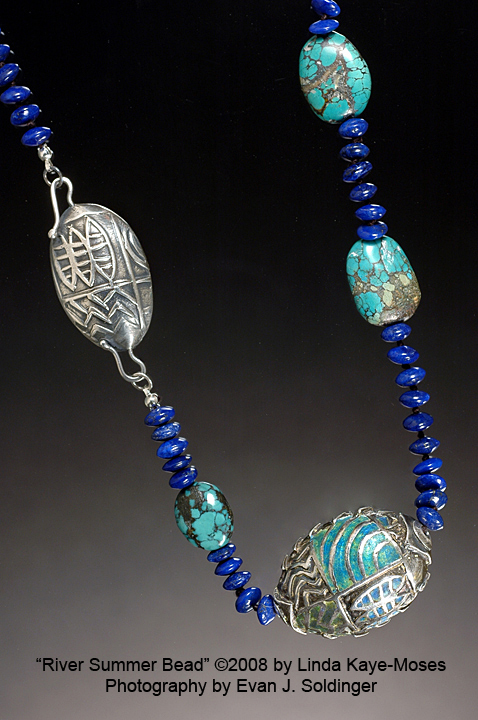 Linda Kaye-Moses has been creating jewels since 1976 and in 1996 she became a Certified Precious Metal Clay artisan. She has shown her work in galleries and shows across the country including the Smithsonian Craft Show, ACC Craft Fairs, and The Paradise City Arts Festivals. 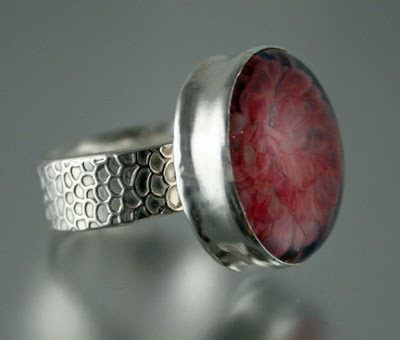 Linda’s art has also been published in Art Jewelry Today and Art Jewelry Today I, Creative Metal Clay Jewelry, Fabulous Jewelry from Found Objects, PMC Decade, and Making Metal Beads. 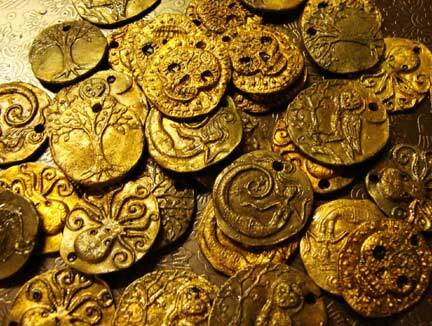 She is just finished writing a book on metal clay, Pure Silver Metal Clay Beads . We started working with BronzClay when there wasn’t a lot of information about it still yet and had to do a lot of experimenting with a lot of different results. Some of these were test pieces to see the different properties of the material. It was a lot of work figuring things out in the beginning. I’m glad that there is more information available out there. It definitely would have made our first attempts easier. Blindly working with the clay can be a challenge and a half! You kind of have to intuit your process and navigate the bumps in the road. Lordy Lou it took a lot of patience! It’s easy to get discouraged when your hands are caked with a brown sludge and you can see it turning your skin green and your nails black. Ultimately when you figure out the kinks it becomes easier. I work with several natural materials and I also work with Precious Metal Clay which is pure silver recycled from the film making process. It is then mixed with an organic binder and water and I can then roll it, cut it, texture it, mold it etc to make rings, pendants, earrings, bracelets etc. I use concrete and rough cut or raw stones in some of my designs and well as molds of shells and corals, leaves and branches. I do beadwork with semi-precious stones, pearls, wood, glass, recycled jewelry, just about anything I can get my hands on.